Want to shine bright in school? Our School Stars learning helpers are packed with amazing extras that give you the edge in class. 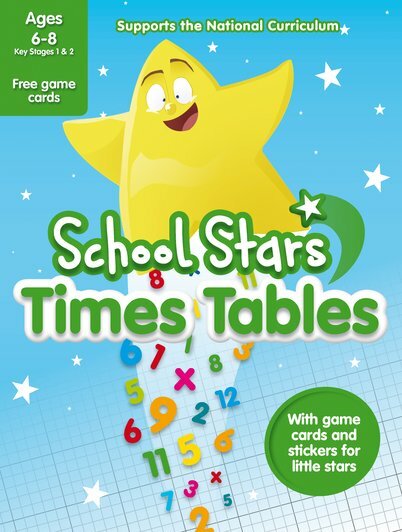 Such as this book: with lovely bright stickers and fun game cards to help you practise your times tables. How do you multiply numbers? Are there any tricks you can use? How will you remember all the tables? Luckily, these colourful games and activities make it really easy. Just wipe away mistakes and have fun trying again!